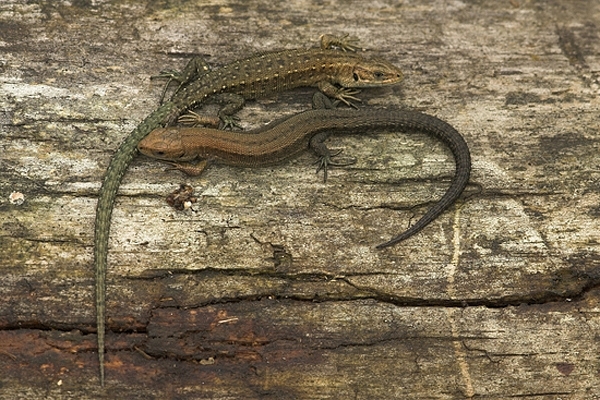 Home | Reptiles & Amphibians | 2 Common Lizards. Photographed on an old tree trunk in the early autumn,before hibernation. Canon 1D Mk11N camera,180mm lens,1/60 f11.